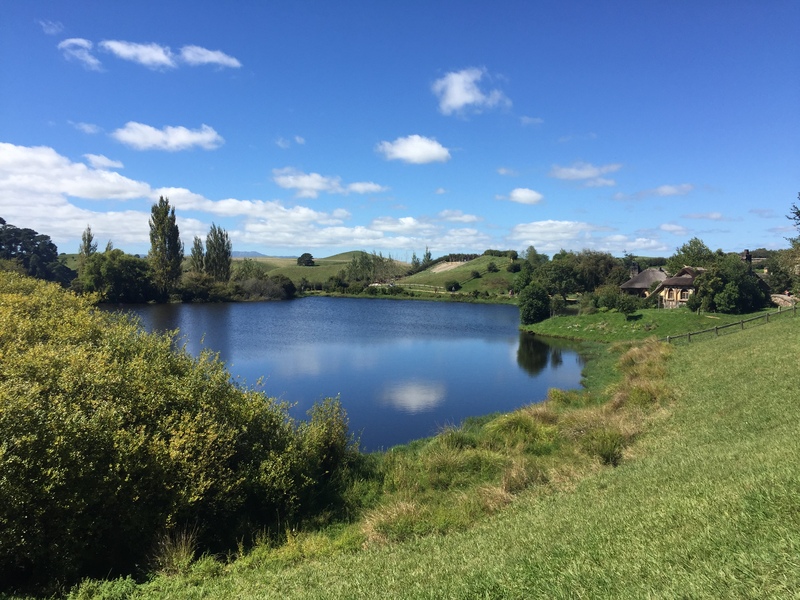 Our North Island adventures continued to Rotorua & Taupo. This was one of my favourite days/nights on the trip! 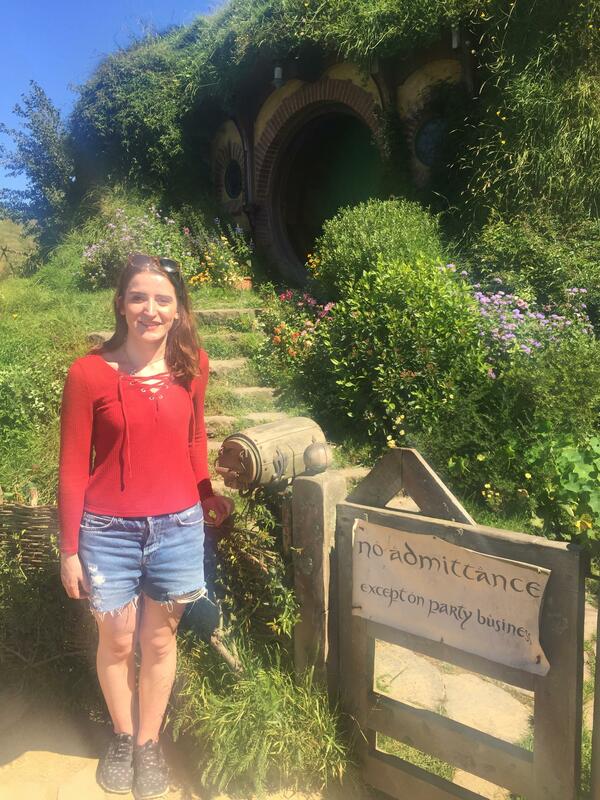 After leaving Waitomo we were dropped at the Hobbiton Movie Set which was so much fun. 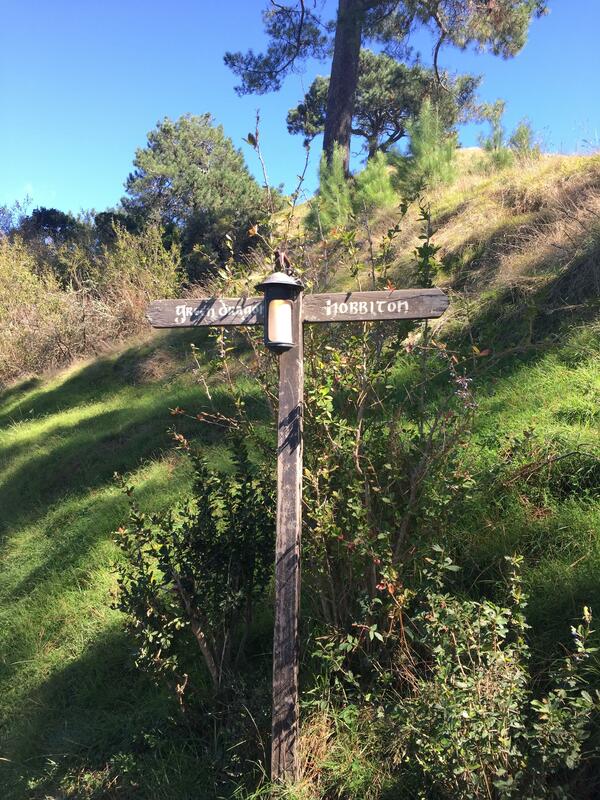 The village has been preserved since they rebuilt it for the Hobbit movies and you get to go round all the hobbit holes and even get to drink a pint at the Green Dragon Inn. 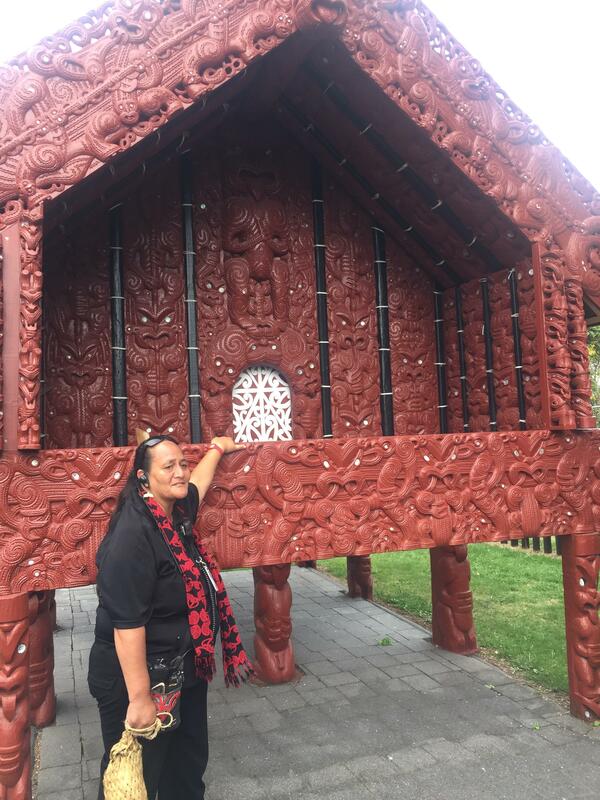 We were then dropped back into Rotorua where we had about half an hour until a group of us headed to the Tamaki Maori Village which we were staying overnight at. 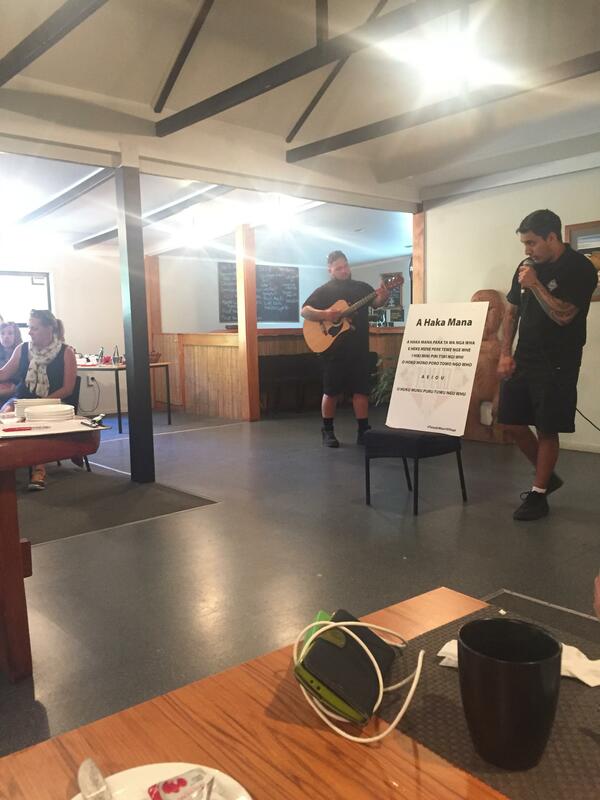 We were taught all about the traditions of Maori culture including games and songs. We were also fed an amazing amount of food including an afternoon tea with incredible cake when we arrived followed by a traditional Maori hangi later in the evening. This is an activity that I think is worth every penny - it seems expensive but it was so good to learn all about their traditions and how they are trying to keep their culture alive. It's worth noting that you don't get any time in Rotorua if you do the overnight stay so if time allows you could stay an extra night. After stuffing ourselves with ALL the breakfast at the Maori village we got dropped off back in Rotorua to get on the Kiwi bus. Our first stop was Te Puia, this is optional and I think there is a walk you can do instead. Te Puia, a geothermal reserve is home to New Zealand's largest geyser so the geographer in me was very keen to see it. We had a lovely Maori tour guide who showed us round and also boiled us eggs in the natural hot pools which blew my mind. There is also a chance to see a Kiwi bird but it was so dark in the enclosure I have no idea whether I actually saw it or whether it was just a leaf moving around. 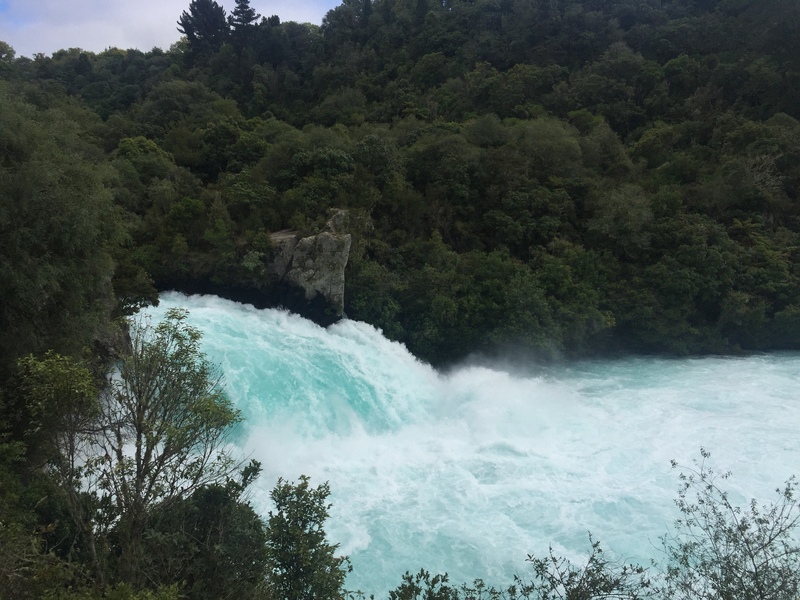 Before reaching Taupo itself we stopped at Huka Falls for a photo stop which was beautiful. Taupo was where I was desperate to do a sky dive but unfortunately the weather was not in my favour (a constant theme throughout my trip) and the cloud cover meant I wasn't able to. 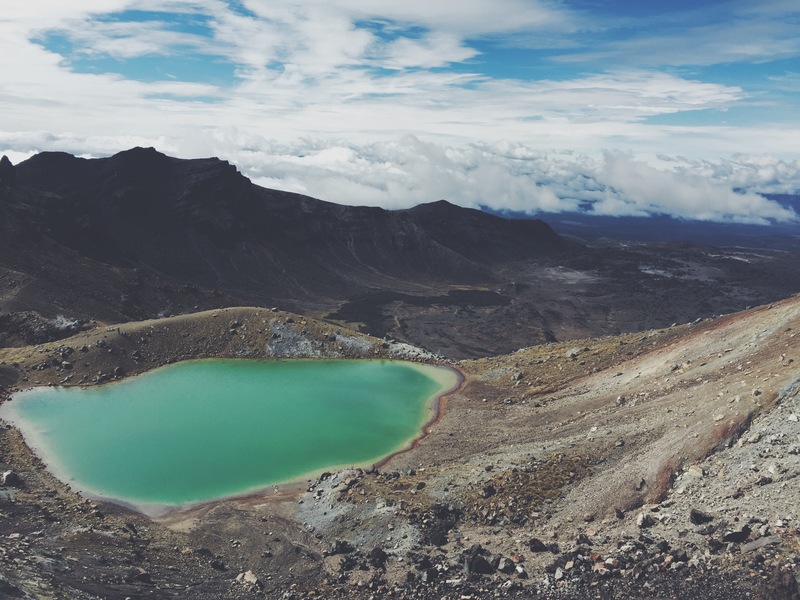 We had an extra full day in Taupo and this is where I completed the Tongariro Alpine Crossing. This was a breathtaking (quite literally) 19km walk which required a 5am wake up call so just a warning if you are planning on doing this. This was also a weather dependent activity but luckily we had the perfect day for it and managed to complete it without a spot of rain in sight. 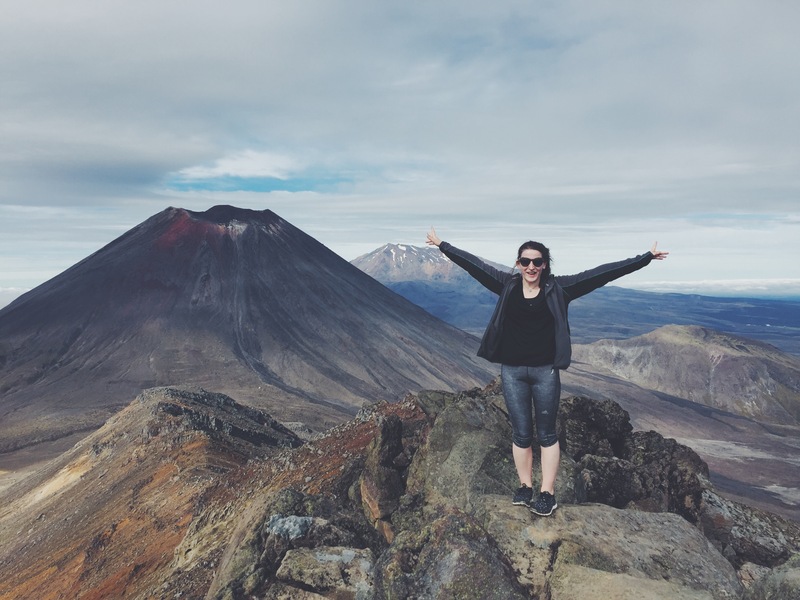 I highly recommend completing this if you get the chance, if only to say you've hiked Mt Doom (LOTR fans unite! ).